The wretched prospect of an altarpiece deliberately diminished as a result of an historic acquisitions policy dominates the National Gallery’s current exhibition, Strange Beauty: Masters of the German Renaissance. 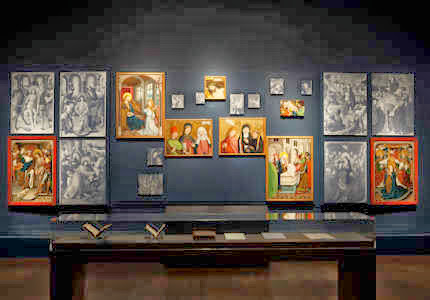 The exhibition presents the weaknesses of the Gallery’s collection of German Renaissance paintings as a consequence of nineteenth century taste, which overwhelmingly favoured Italian art. 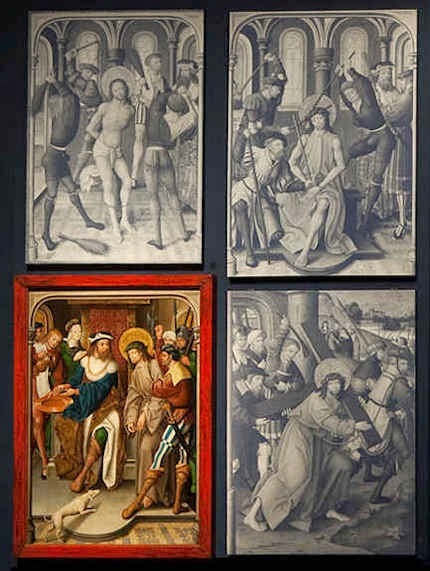 The surviving panels from the late fifteenth century Liesborn Altarpiece were bought by the Gallery in 1854 on the instructions of the then Chancellor of the Exchequer, William Gladstone, the acquisition causing such public uproar that an Act of Parliament was passed to allow its resale. 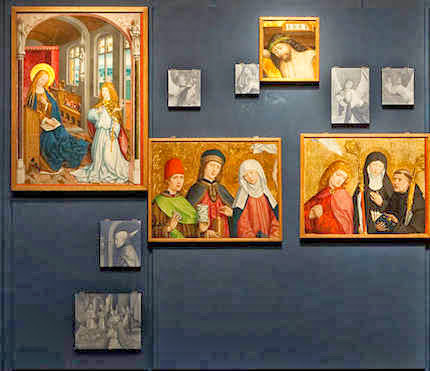 But instead of selling all the panels together, the Gallery retained eight so that the already fragmented altarpiece was, in effect, flung to the four winds. 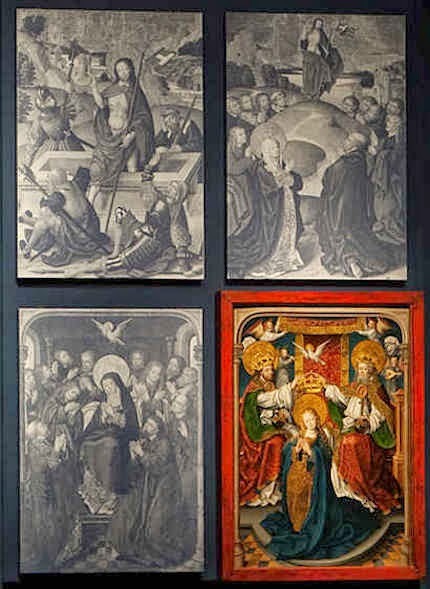 The altarpiece has been reconstructed for this exhibition, the National Gallery’s eight panels accompanied by monochrome reproductions of those held by other museums and making a sorry, perhaps even repentant, sight. Florence Hallett is a freelance writer on art. This entry was posted on April 7, 2014. It was filed under blog and was tagged with destroying art, Florence Hallett, German Renaissance paintings, Good taste, National Gallery, Strange Beauty: Masters of the German Renaissance, the Chancellor of the Exchequer, The Liesborn Altarpiece, William Gladstone.